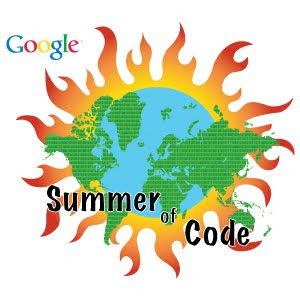 Soon we'll all hear the news on the students accepted to Google Summer of Code. I'm excited and I'm sure so are a lot of students! Donnie Berkholz from X.org and Gentoo, Kevin Smith from XMPP and I have written a series of blog posts for Google’s Open Source blog about the dos and don’ts of Google Summer of Code. Check them out. They have useful tips no matter your role in GSoC. There is a post for students, admins and mentors. I think I can summarize many of the tips for students as: take a GSoC project serious, it is a real job! There is a serious commitment on the side of the organization (mentoring!) as well as the side of Google (payment!). And there is a lot in it for you, not just the money but also the learning opportunity. Last but not least, a successful GSoC looks good on your resume! Don't underestimate the value of GSoC and work in a FOSS community for an employer. As you know, all employers want 18 year old employees with 20 years experience. So having done some work in a FOSS community counts! And as Boudewijn said in the first comment on the tips for students, taking your summer job for Google & your project serious also means you don't disappear at the end of the summer. It looks BAD to an employer as it signals little commitment to what you do. Especially if you have delivered "almost-ready code" which you never finish. You're basically saying that you are not very reliable! Don't think potential employers won't see your GSoC work. Most, and especially the better employers, will do a search on your name and have a good look at the results. It is very likely that, once you've finished your GSoC, googling your name finds your project in the top-3 results. Moreover, if you hang around and keep doing some work, you'll learn more, build up an even more valuable resume and you'll more likely to be able to give your mentor up as a reference to a future employer. There's no guarantee, but maybe your GSoC one day leads to a job at a Free Software company. And a job in a Free Software company is more fun, really. You often get not only more pay (frankly not that important once you make enough to live OK) but also more responsibility and respect. Even if you get a job which isn't Free Software related, if you have the experience of working in a community, you will have a better position in your first job. You'll know better how to interact with people. How to write readable, maintainable code. When to ask questions. Who to ask. Such skills are useful so you're a more valuable employee - one who gets more choice, freedom and responsibility! Taking your GSoC serious also means more fun on a personal level. At least I'd argue that having your code finished, shipped to a few million users and having your name on it as developer or maintainer is not just cool on your resume but pretty awesome in general! Last but not least, as Boudewijn blogged, GSoC is not the only way to get most of the benefits of becoming part of a Free Software community! Even if your GSoC project was not accepted, you can ask if you can do it anyway. Mentors often have no problem mentoring you without a GSoC and while you don't get the money, meaning you'll probably have to find another summer job, you'll still get to code, learn & become part of the team. So. Take your GSoC project serious. It means more fun and better results. Both for yourself now as well as for your future! I've been quite busy over the last few months - after Michael Loeffler left and AJ went on parental leave for 2 months life got crazy. Luckily openSUSE doesn't exactly depend on me and while some things slipped, I don't think big things broke down. Ok, my boss wasn't happy with me as especially internal budget things suffered. I've given those sending me interviews and other writing stuff (like my column for LinuxUser) a very hard time too. And personally, I'm unhappy with it because I tried to do to many things which resulted in many of them unfinished. But AJ is back, we're getting some processes on track and the 11.4 release worked out great. So it is time to focus again and get things finished. First is the strategy stuff. The openSUSE Board had a few comments we'll look through, then it should go up for voting. Really. I know, it already needs some updating - we'll try to do that first. Once that is done, it's time to vote on it and get it out however. We need to get the DVD's out which we created for GNOME 3 and KDE. For both I spend a lot of time collecting materials to include on the disk and imho the end result is pretty ok. But there's also room for improvement, something for the future... And we have marketing materials to create for the US. There have been only a few suggestions on the marketing ML so it looks like I'm gonna have to lock myself in my room for a day or two to write some stuff... Finally, I have to catch up with mail. With over 2300 unread mails that'll be quite a job but in some folders I'll probably just mark all read... And then it's on to new stuff! Last Saturday I gave a talk at a FLISOL meeting - and in the preparations for that I updated a number of presentations I have. Will share them with the marketing team and hopefully put them in Git & the wiki with the marketing materials. The openSUSE ambassador talking points have been improving and I'm working on an upcoming features. I've also went through the wiki pages for new contributors, making small changes and adding links there, improving the Junior Jobs pages. Now the openSUSE Boosters are planning to work on that as well, smoothing out the process of getting involved in openSUSE. Once we have that up, I'd like to investigate openSUSE joining openHatch. For that we'd need junior jobs in a variety of areas as well as mentors - but I think I can just start small. We have a convention in Bugzilla which is followed by practically nobody: mark simple bugs with "JJ" so they can be easily found. I'll try and get a few of those on openhatch, see if we can get a contributor or two to chip in. If that works we have a good reason to expand upon that! I just stumbled upon mmeeks blog where he mentions some of his favorite projects from the LibreOffice GSoC ideas. And it made me happy. "developing OpenOffice is like brushing your teeth with a chainsaw"
The LibreOffice fork solves the governance issue and focusses strongly on cleaning up the code. Still I felt they still had the Millstone of the old codebase around the neck. I've always seen a lot more future for Calligra suite which has a modern code base and innovative features, especially since the inception of KO GmbH. For me, LibreOffice did not seem relevant for anything other than bridging the gap until Calligra was end user ready.. Which in itself is bad - competition is good, OO has a huge user base (slowly moving to LibreOffice now) and the LibreOffice project is a big showcase of Free Software in many ways. So the post by Meeks lighted up a little spark in me when he mentioned moving over the Canvas to Cairo. Yes, I'm no developer, but I do know that Cairo is a modern technology, good enough to be adopted as the new canvas by the upcoming Qt4 port of Scribus (part of openSUSE 11.4). And it is what GNOME Shell is build upon, not exactly irrelevant either. Meeks also mentions an Android port which would force work on improving performance like it did for Calligra office. So why is this so special? It's not like OO.o didn't have any plans... Well, frankly, the only improvements I've seen from OO.o over the last years was an addition like Java. Sorry but why oh why add Java to an office suite which is already slow as crap and big as a mountain? Oh, and the discussions about the "awesome UI redesign" ("let's copy the ribbon, badly"). I didn't hear about taking advantage of modern technologies like Cairo. Frankly, the improvements were mostly putting lipstick on a pig, if you ask me.